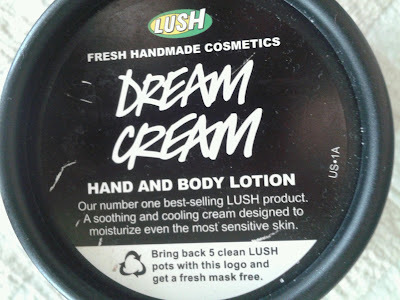 I wanted to discuss the ever so talked about Lush Dream Cream which is said to be the "number one best-selling Lush product." 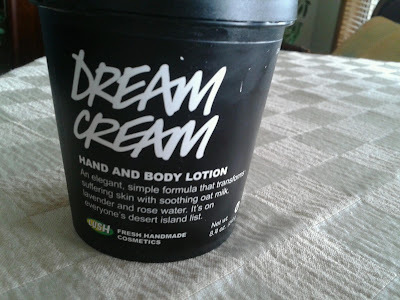 I initially bought it because I have eczema and this product was highly recommended due to its soothing tendencies. As you can see from the discription, the formula consists of oat milk (which is very soothing for ezcema and rashes in general), lavender and rose water. 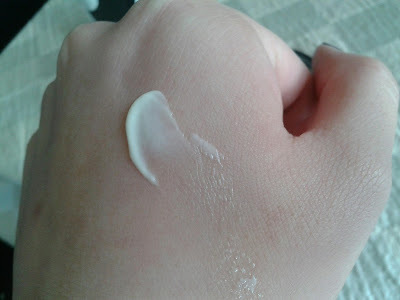 I had always wanted to try this cream out after I had heard many people rave about this product, especially people with similar skin conditions, so I decided it was time to pick it up. I used it in conjunction with what I had left of my Aqua Marina cleanser for about a month and the combo was very calming on my skin, but I didn't repurchase the cleanser only because I had other products to use up. 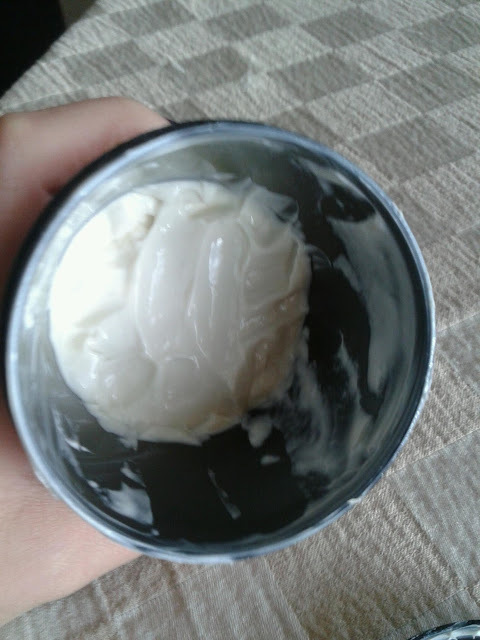 I've had this Dream Cream for over half a year and there's still a bit in the jar (a little less than half), granted I don't use it everyday or all over my body, but I do use it regularly for my face when it feels slightly more irritated than usual. A little does go a long way, at least for me, and I have extremely dry and sensitve skin. The smell is very nice and calming and the consistency isn't too heavy either, but not too light where I feel it isn't moisturizing enough. I mostly use this on my face as a moisturizer and will use it on my body at times if there are irritated areas. I can't say this is a 'miracle worker' by any means for my ezcema but it does its job calming the irritated areas where I have ezcema break outs and makes it feel less itchy. I do like this product enough to where I would purchase again after I run out, but I'll have a couple months or so before I need to do that. 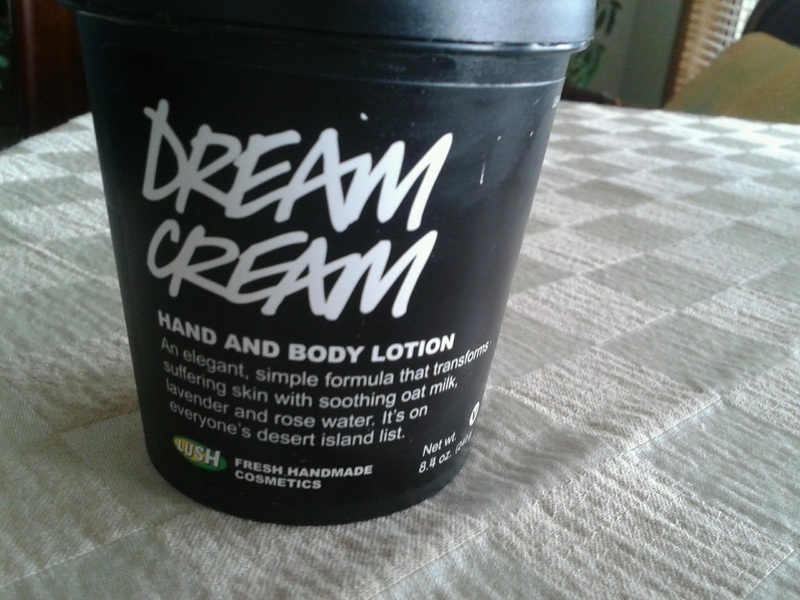 If you don't have a LUSH near you, you can purchase this cream at their website HERE. Thank you! and Ooh, all of the Lush products have expiration dates so maybe you could try one or two? or order online? I hope you can try them out since they are wonderful products.